Swim & Company is very excited to be recognized for our passion in bringing homes and people together. We have always said “We may not sell the most real estate, but we sell it best.” Meaning, we never focus on quantity but more on the satisfaction of our clients and finding them the best home for their current needs. We pride ourselves on that premise and we are thrilled to be acknowledged for those traits. 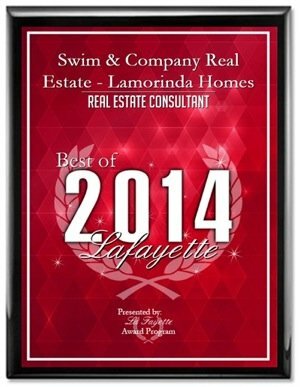 Each year, the Lafayette Award Program identifies companies that we believe have achieved exceptional marketing success in their local community and business category. These are local companies that enhance the positive image of small business through service to their customers and our community. 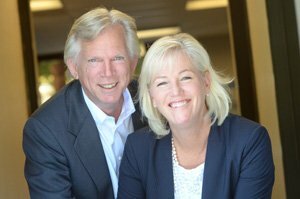 These exceptional companies help make the Lafayette area a great place to live, work and play. Various sources of information were gathered and analyzed to choose the winners in each category. The 2014 Lafayette Award Program focuses on quality, not quantity. Winners are determined based on the information gathered both internally by the Lafayette Award Program and data provided by third parties.